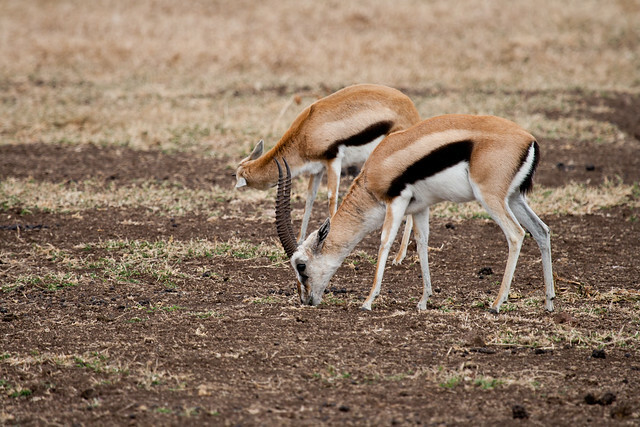 Today’s Tanzania Tuesday entry is about members of the antelope family. 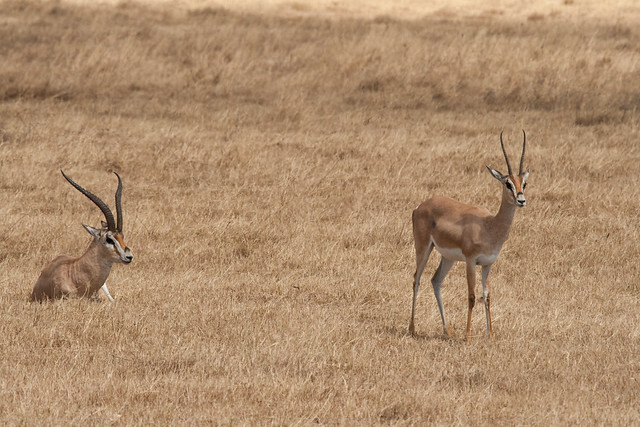 Thomson’s gazelles are ubiquitous. They were, by far, the most common form of wildlife we saw in our travels. They’re twitchy and prone to bolt and perhaps the size of a blue heeler dog. 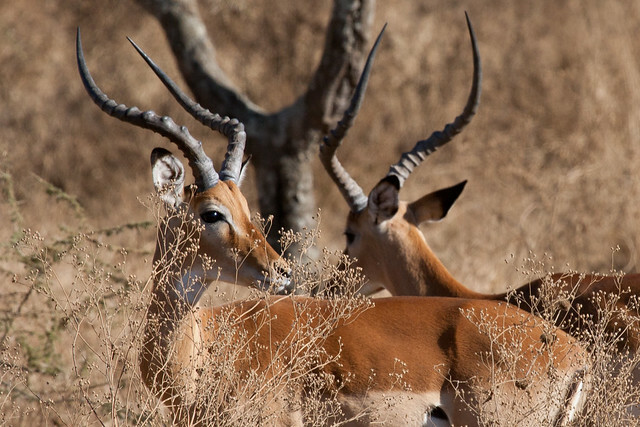 You’d think that it would be easy to differentiate Thomsons from impalas, because the impalas’ horns are curved to such an extreme degree. 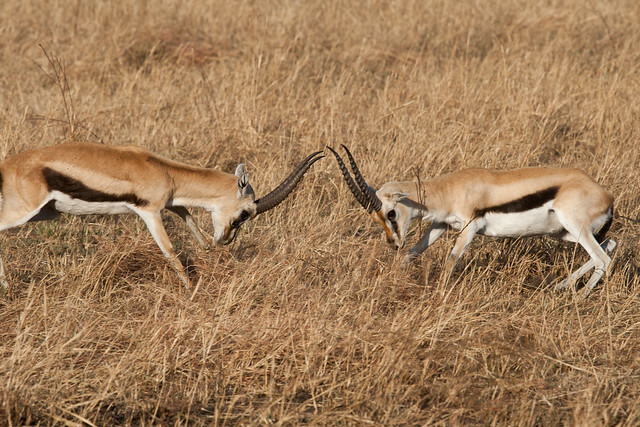 In fact, it’s hard to tell the difference between the female impala and the male Thomson. The way to be sure is to look for the horizontal strip on the Thomson. Impalas don’t have stripes. Impalas are larger than Thompsons too. They seemed to be about the size of a North American doe deer. 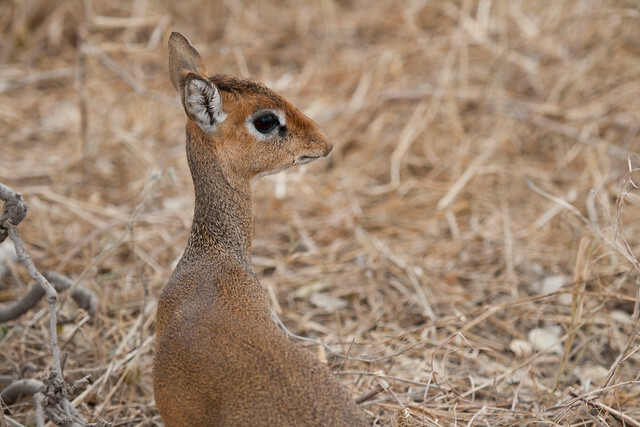 This is a dik dik. They’re really cute, really small, and rather rare. I think we saw two in all of our travels. Too bad we never heard them scream, which is supposedly what they’re named for. It would be cool to see a mini-deer the size of a large cat, scream. 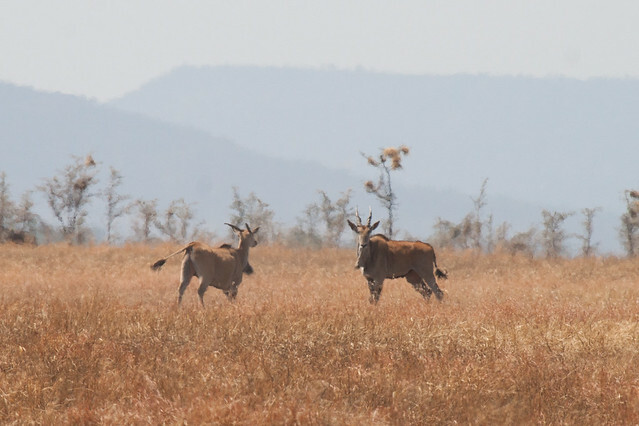 Speaking of rare, these were the only two eland we saw at all. The above photograph was taken from about 150 yards and even with the tight crop, they still don’t really fill the frame. Eland are extremely shy, and when we pulled up, even at 150 yards out, these two shied away. I only had about 30 seconds to get this shot. 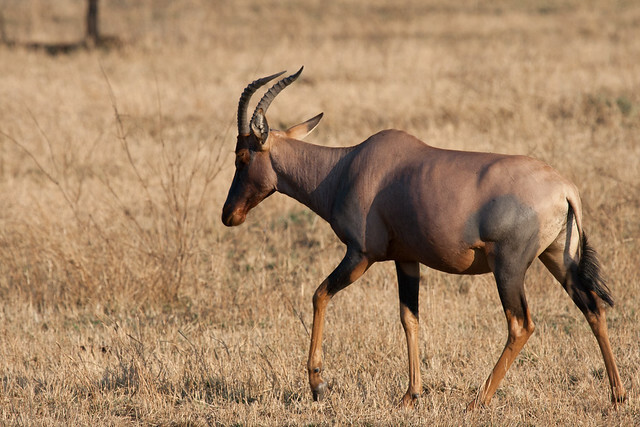 Topi are pretty cool, leathery looking creatures. They were more common in the western part of the Serengeti, compared to the eastern part of the park. 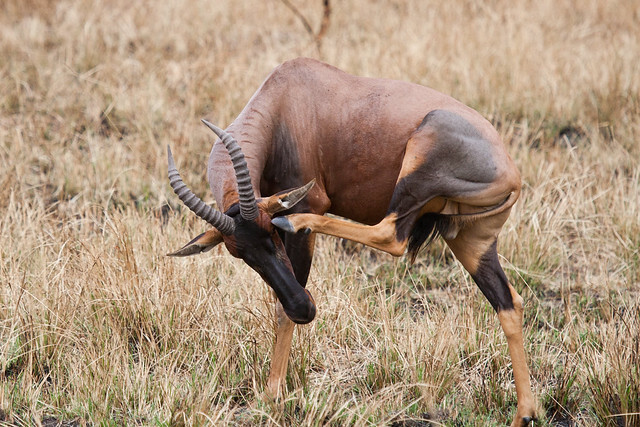 The life of all animals in the bush is an itchy one. Flies, gnats, mosquitos, and all sorts of other flying biting stinging nasties fill the air and are just waiting to swarm. No animal seems safe, except possibly birds. 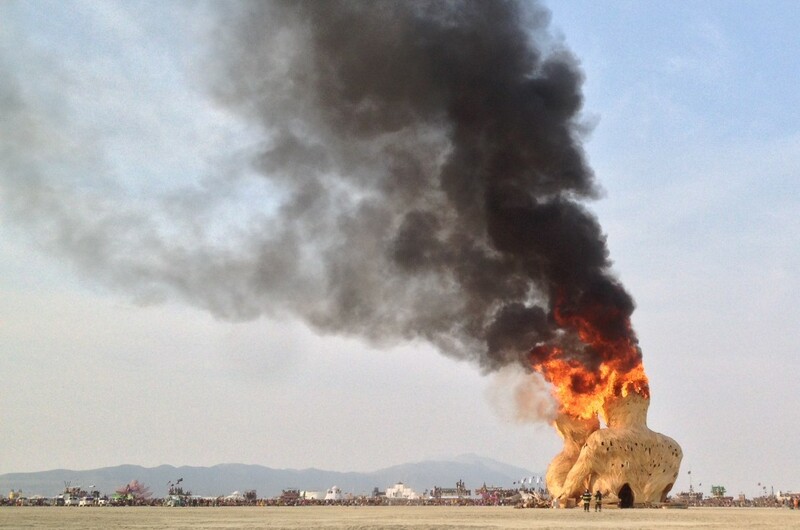 The lesson to be learned here is that air power is always the advantageous form of warfare.